Is California's housing market peaking? California led the nation's housing recovery, with home prices in Southern California and the Bay Area zooming past their previous housing bubble highs. 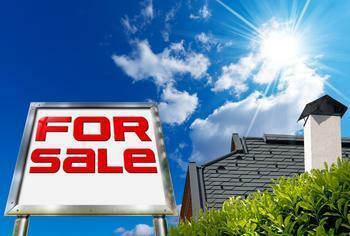 But now, there are signs suggesting that the market may have peaked, at least in terms of number of sales. In its monthly report, the California Association of Realtors (CAR) says February sales of existing, single-family detached homes fell 4.7% from January, while they were up compared to February 2016 sales -- which were the weakest of the year. CAR President Geoff McIntosh says the Fed's promotion of a rising interest rate environment could affect housing a couple of different ways. "In the short term, the specter of higher interest rates may push buyers off the fence to purchase a home before mortgage rates move even higher," he said. But over the long haul, higher interest rates will make California's already expensive homes even more costly. That's already being reflected in what buyers are willing to pay. In February, the median price of an existing, single-family detached California home fell below the $500,000 mark for a second straight month. That doesn't necessarily mean sellers are reducing the price of their homes, but more likely means buyers are increasing their purchase of less expensive homes. McIntosh says there's one thing that's holding back California home sales at this point -- and it's basically a nationwide problem. There are just fewer homes for sale. "The number of active listings has been on a downward trend for the past 20 months and has shown no signs of improvement," said CAR senior vice-president and chief economist Leslie Appleton-Young. "As we move into the spring home buying season, we should see a marginal increase in listings, which will be offset by a pickup in sales. The inventory level is not likely to get better in the upcoming months." Homebuilders aren't helping much either. Construction of new homes is taking place at a pace that's about half of what it was during the housing bubble. Contractors complain of a shortage of construction workers and rising costs.